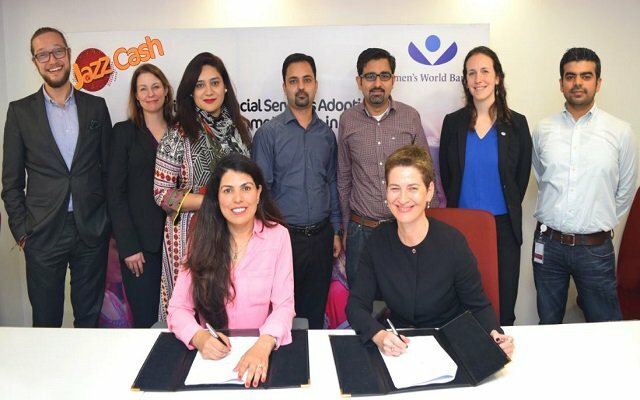 JazzCash, Pakistan’s premiere financial services provider and global nonprofit Women’s World Banking today announce a partnership to promote women’s financial inclusion across Pakistan. With funding from the Bill & Melinda Gates Foundation, the partners will work to increase low-income women’s adoption and use of digital financial services, particularly the JazzCash mobile account. JazzCash and Women’s World Banking announce partnership to serve low-income women in Pakistan. Said Mary Ellen Iskenderian, President and CEO of Women’s World Banking.